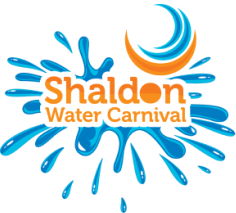 The ever popular Shaldon Water Carnival is pleased to continue this unique, traditional community event, now in it's 57th year and we again look forward to families, friends and visitors taking part in this year's fun. 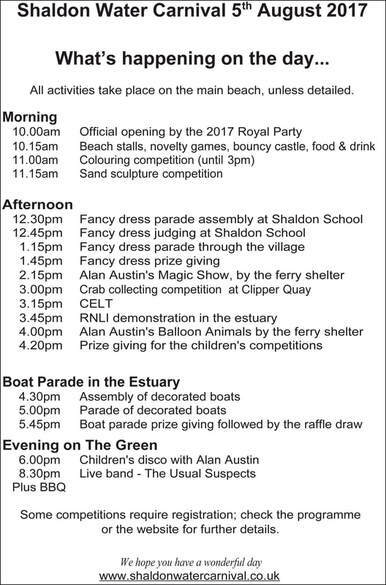 At 10am, Shaldon's newly crowned Carnival Queen, Charlotte Edworthy, will open the day's festivities on Shaldon's Ferry Beach. Charlotte will be joined this year by attendants Alfie Gates and George Hulbert. 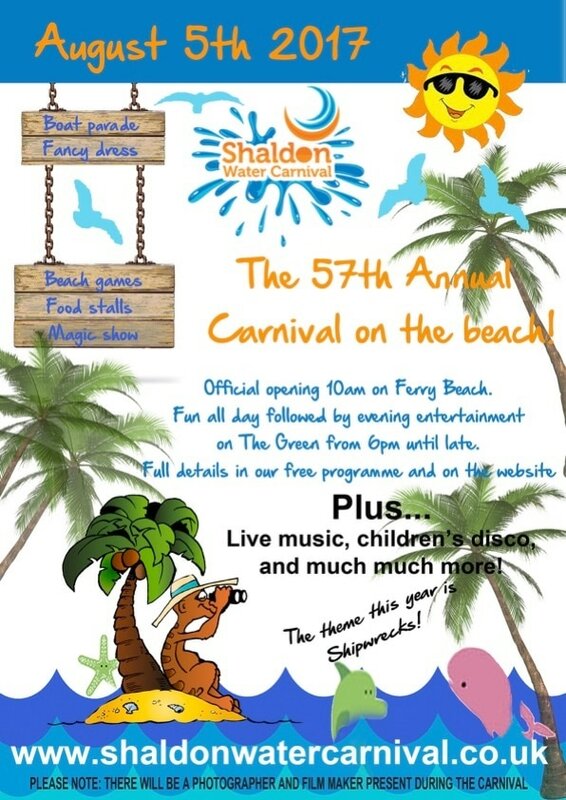 From 10.15am, the beach plays host to a variety of stalls, beach activities and novelty games. Under 14's can also join in our competitions by creating a sand sculpture or an art masterpiece in our colouring competition. This year's theme is shipwrecks so get your thinking caps on to wow everyone with your creations. At 1.15pm the fancy dress parade sets off from Shaldon School and goes through the village to the beach; people taking part are asked to assemble at the school at 12.30pm. This is followed by afternoon treats including crab collecting off Clipper Quay, Alan Austin’s magic and balloon shows and the children's disco at 6pm on The Green. To end the day, from 8.30pm it's time for everyone to enjoy a BBQ on The Green whilst listening (and some singing and dancing we hope!) to The Usual Suspects live local band. Come along and enjoy this unique occasion in one of Devon's prettiest seaside villages, join in the day-long fun on the beach and browse the craft stalls whilst savouring some tasty food and drink by local suppliers. You can also enjoy our other wonderful local facilities which remain open on the day. The Water Carnival Boat Parade is the highlight of the day when thousands of spectators line the beach on both sides of the river to watch the colourful procession of decorated boats parade around the Teign Estuary in the afternoon. The Shaldon Water Carnival committee would like to encourage as many boat entrants as possible to make the parade spectacle for all to see. Get your registration in early!! Further information about the 2017 Water Carnival Day will be posted soon.